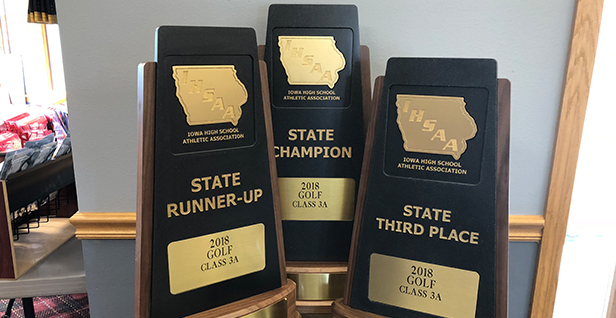 Iowa – The Iowa PGA partnered with the Iowa High School Athletic Association for the Boys State Golf Championships on May 24-25. Round one of the two-day event was completed at the Westwood Golf Club for 1A, the American Legion Golf Course for 2A and Lakeside Municipal Golf Course for 3A. Team and individual champions for each class will be crowned tomorrow following the second round. The second round for each class will begin tomorrow at 8 a.m. Good luck to all the participants. The Iowa PGA will be providing coverage of all three sites on its all new IowaPGAJuniorGolf.com website as well as on its social media platforms.